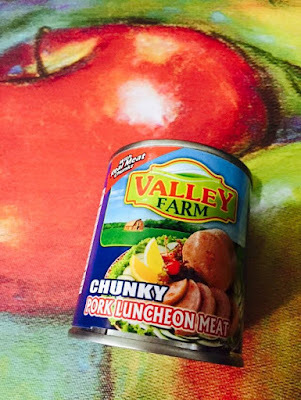 Valley Farm is a luncheon meat brand that uses "real" and "chunky" meat pieces. And because the team behind Valley Farm believes that breakfast is the most important meal of the day, it continues to develop new, healthy and delicious breakfast offerings. bond together as a family. campaign had a successful run last June 20 and 21 at Waltermart North EDSA, followed by another leg last June 27 and 28 at Waltermart Sta. Maria, Bulacan. Valley Farm Chunky Charap Breakfast will continue its relentless efforts of promoting breakfast in other Waltermart branches in Tanauan, Batangas (June 4-5); Dasmarinas, Cavite (June 11-12); Trece Martires, Cavite (July 18-19); and Gapan, Nueva Ecjia (July 25-26). “Chunky Charap” Breakfast Campaign is part of Valley Farm’s annual Family Fun Day—an annual event filled with fun activities for kids and their families. It’s an initiative by the brand that started in 2012 where the entire family enjoyed sandwich together while experiencing the rides and attraction at Fun Ranch Tiendesitas. The succeeding years saw Valley Farm collaborating with Waltermart, Ever Commonwealth, and Fishermall on various mall activations all over the country. Valley Farm is the only luncheon meat that uses real meat chunks. Blended in selected spices, Valley Farm gives kids the best-tasting luncheon meat that they can enjoy in all meals, most especially during breakfasts.